Quilting Adventures: Hello neglected blog .....! Have you heard the latest? 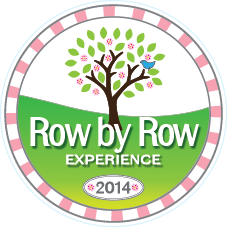 The Row by Row Experience shop hop is taking place from July 1 to September 2, 2014! What a fun way to visit various quilt shops across the United States and Ontario! Would you believe we have over 1,250 quilt shops participating? Wow! Not only that, but many states have had their first winner! That's some serious shop hopper/quilters! Way to go! To see participating shops, check out this link. You can also print a check list for each states and Ontario! 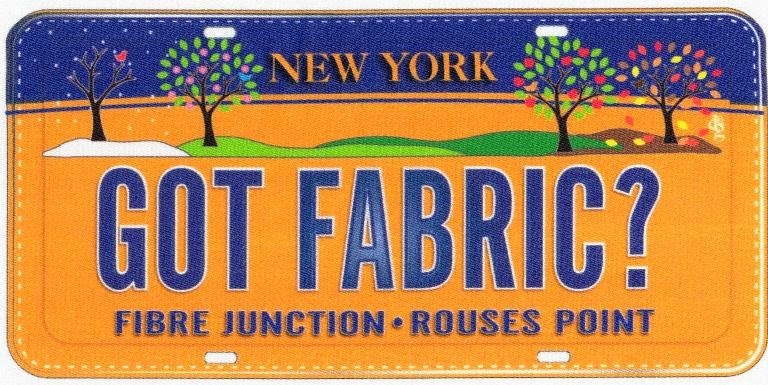 Most shops have a collectible fabric plate too. Wanna see mine? I think we are all too busy enjoying the beautiful weather this summer;) I am making small things but even with the air on, it is hard to work on larger quilts right now. I love the plate! I am looking forward to seeing some of the finishes. Well Hello There -- You're Baaaack LOL! Sounds like you've been really busy -- love that cute license plate! Is anybody out there .....?? !